You know when your body wants something sweet, but you just want none of the guilt? 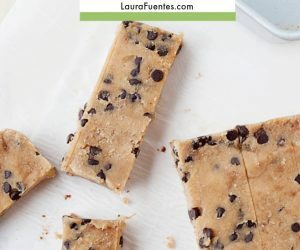 I have those moments all the time, and these Healthy Chocolate Chip Blondies is one of the recipes that comes to the rescue! 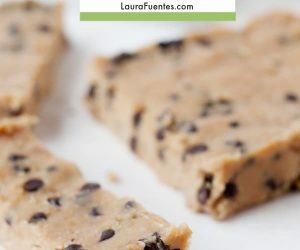 When I think of the foods my body craves, it’s usually salty things like nuts, cheese, olives, hummus… I mean, growing up in Spain that’s what we had for snack regularly, salty things. Like in the afternoons, I’d sit with my grandpa playing cards while shelling peanuts and eating olives. However, I hate to admit that I’ve developed quite a sweet tooth through recipe development. I try all things, snack on all things, and therefore, eat all things! 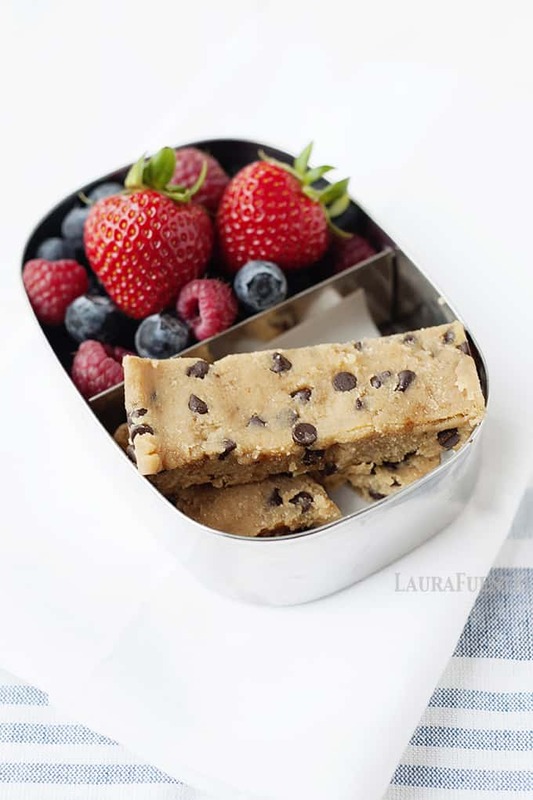 I made these blondies for a group of ladies in my boxing class that has so kindly volunteered to be the testers for all my Family KickStart Program recipes and treats. They were all doing their own whole food 30-day programs so my KickStart recipes were perfect for them! If you’ve never heard of Family KickStart, it’s a 30-day program created with a Whole Food & Whole-Family approach where the entire family eats real foods together while eliminating processed foods and sugars from their diets. Check out Family KickStart here. I brought a batch to eat from “a Pinterest recipe that I had to modify because I didn’t have half of the ingredients.” Oh, how familiar this was to my ears since I know that sometimes people change things and they don’t always come out as described. Ha! Making these is a very simple process. Can you mix ingredients in a bowl with a spoon and then press them down into a container? Seriously, it’s that easy. Check out this video where I show you how to make them. So, back to the blondies. The following week I brought my first batch to my newly found group of taste testers, and they all agreed they were great! Thrilled with my newly found zero-guilt recipe, I now make them from time to time and keep them in the fridge for up to 5 days. They usually don’t last that long since my husband and kids have discovered them as well. On a final note, I’ve made these with added protein powder, up to 1/4 of a cup, for extra nutrition and been able to reduce the honey in half by removing 1-2 tablespoons of coconut flour. How do you know it’s going to hold together? When the texture in the bowl has the consistency of playdough, and you pinch it, and it holds together. Trial and error I tell you. Are you a chocolate brownie person or a blondie person? There have been many questions regarding this simple recipe about the ingredients and substitutions. Check the answers below if you have any questions regarding substitutions. Can you use almond butter or cashew butter instead of peanut butter? You can use any “butter” for this recipe. However, the runnier consistency butters tend to need more time to set or 1 to 2 teaspoons of additional coconut flour. 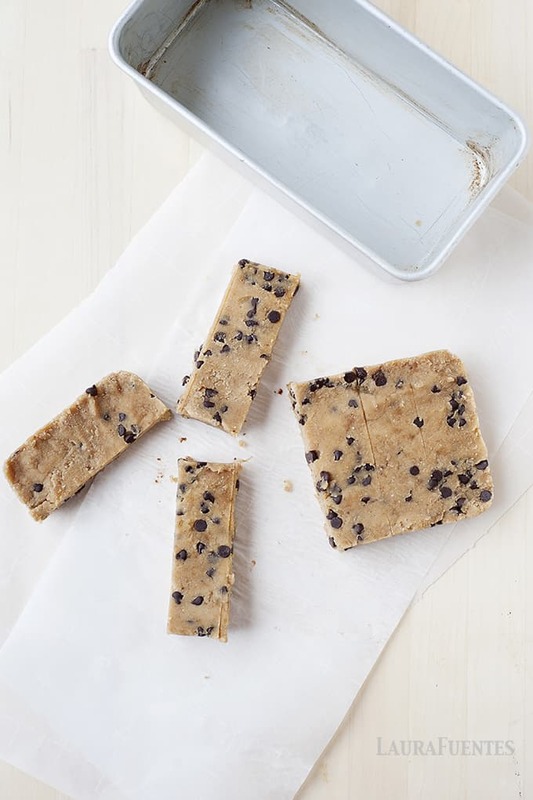 Can you make these healthy blondies nut-free? Absolutely! For a nut-free alternative, use sunflower butter, pea butter, soy butter, or sesame butter. Can you use another flour in place of coconut flour? This recipe only works with coconut flour. 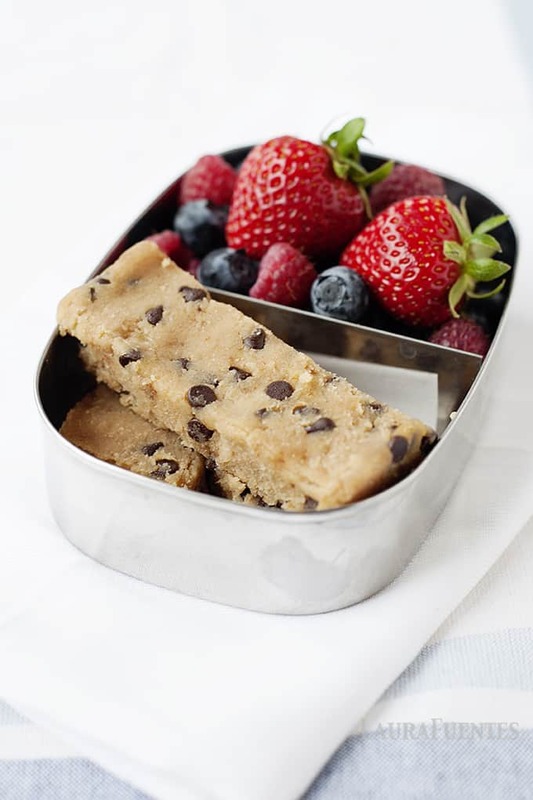 I’ve always found that freezing coconut flour goods changed the texture so I would not recommend freezing these healthy blondies bars. Don’t worry, they are tasty enough and the recipe doesn’t yield enough for an army that you probably won’t have any leftover to freeze anyway! Can I omit the chocolate chips? 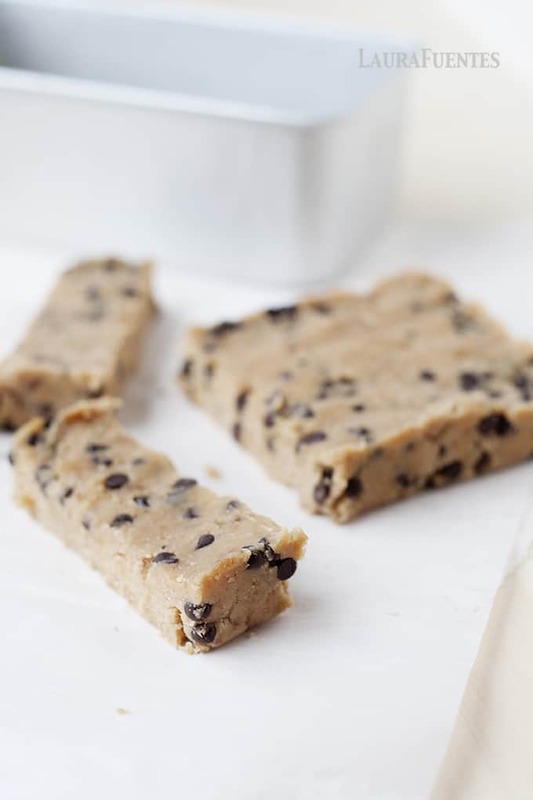 This recipe can certainly be made chocolate-free for a plain blondie. 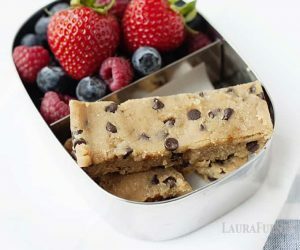 You could also add chopped raisins, dried fruit, or chopped nuts in the same amount as the chocolate chips. Is there a good replacement for bananas? If you don’t like banana or don’t have any ripe bananas on hand, try mashed pumpkin instead. The pumpkin texture is “wetter” so you’ll need to add 1 to 2 teaspoons of additional coconut flour. Line an 8×4 loaf pan with parchment paper. In a large bowl, mash the banana, add peanut butter, honey, and vanilla. Once the mixture is cohesive and creamy, add in the coconut flour and combine well. The final step is to add in chocolate chips and combine. Spread mixture into a lined pan with your hands, pressing down and spreading evenly, to about 1/2 thick. Refrigerate for 1-2 hours until firm. Picking up the parchment paper, remove from pan and cut into individual squares. You can wrap them individually or in an airtight container and refrigerate them for a week. They can also be wrapped individually and frozen for up to a month. Make sure to measure the mashed banana since coconut flour is not a very forgiving ingredient. You can add up to 1/4 cup vanilla protein powder for an extra protein boost (not included in nutrition facts). How many grams of coconut flour is needed? I prefer to weigh ingredients when possible to make sure I have the right amount. Thanks! Can you substitute oat flour instead of coconut flour? Thanks! Unfortunately, no. The oat flour does not absorb the 10:1 ratio like coconut flour. sorry! You’d have to add more to the recipe.